Specially developed varnish for polymer substrates. Excellent performance proven by independent IGT Testing Systems. Post-print varnish is a thin protective layer on both sides of the banknote applied as last step in the printing process. The varnish protects the printing from tear and wear and it protects the security features. 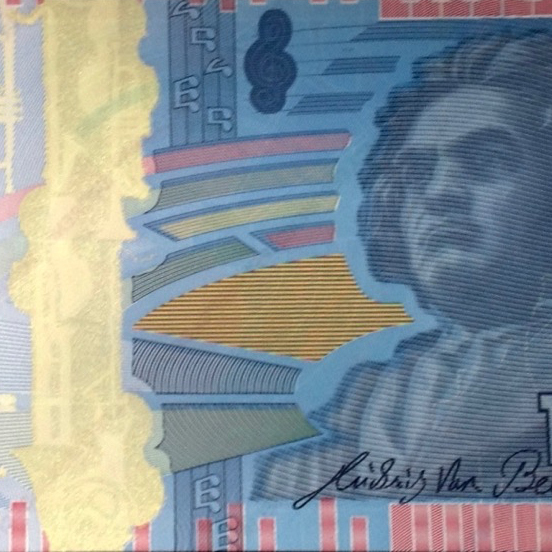 Each polymer substrate banknote must be varnished on both sides. EPV Polymer is a banknote varnish produced by PPG Industrial Coatings. EPV Polymer is a 100% UV-Curing cationic formulation. EPV Polymer is a Raycron® PPG technology. EPV Polymer is developed for polymer substrate banknotes specifically. EPV Polymer contributes to 2-3% of total banknote grammage. EPV Polymer is a non-secure product. Excellent adhesion properties of the varnish on the substrate. Strong layer to protect the ink from scratch-off. Gloss values to be decided by customer. Easy switch from comparable cationic varnishes to EPV Polymer. EPV Polymer is to be applied by anilox cylinder. EPV Polymer is to be applied on both sides of the substrate. PNO Global and PPG support machine testing. Special formulation preferences can be realized.